The Fifth Green Growth Knowledge Platform (GGKP) Annual Conference was hosted by the World Bank on the topic of Sustainable Infrastructure. The conference took place at the World Bank Headquarters in Washington DC, from 27-28 November 2017. Infrastructure - understood to include water supply and sanitation, flood protection, roads and transport, and energy and telecommunications - has major implications at the household level (health, education, and social mobility), at the firm level (productivity, industrial development), and at the global level (climate change, energy, forests, biodiversity, and pollution). Ensuring affordable and reliable access remains a major challenge in developing countries, but one that is further complicated by both a changing climate and changing climate policies. The balancing act across the social, economic, and environmental dimensions of sustainability is increasingly central to the infrastructure challenge. These issues can and have been addressed from different scientific perspectives. However, despite a clear move of the academic community towards interdisciplinary projects, researchers working on specific aspects of the infrastructure agenda are not systematically interacting with each other. This two-day conference took stock of recent advances and research challenges. It gathered the best researchers in the field, both from the academic world and from more policy-oriented backgrounds, to exchange key ideas and insights. 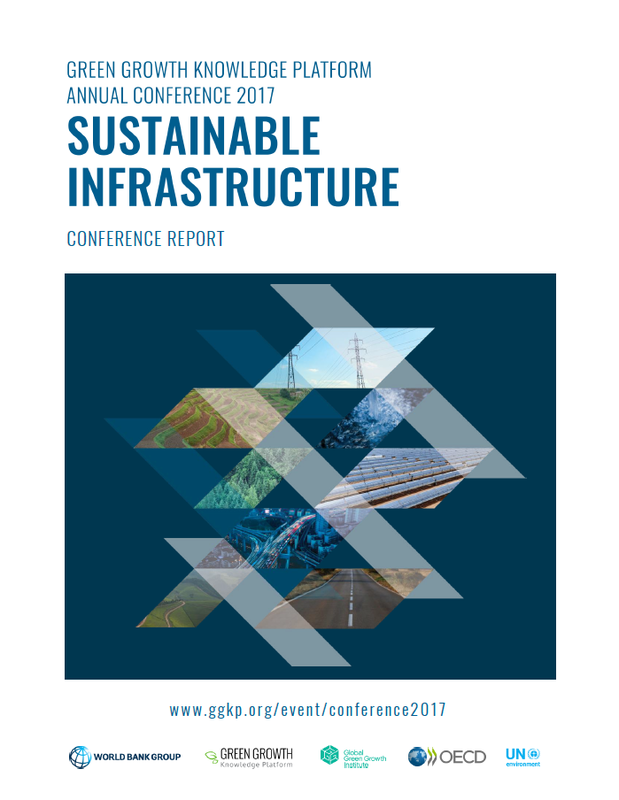 The conference was being supported by GGKP's Sustainable Infrastructure Research Committee and the conference Scientific Committee (see below).